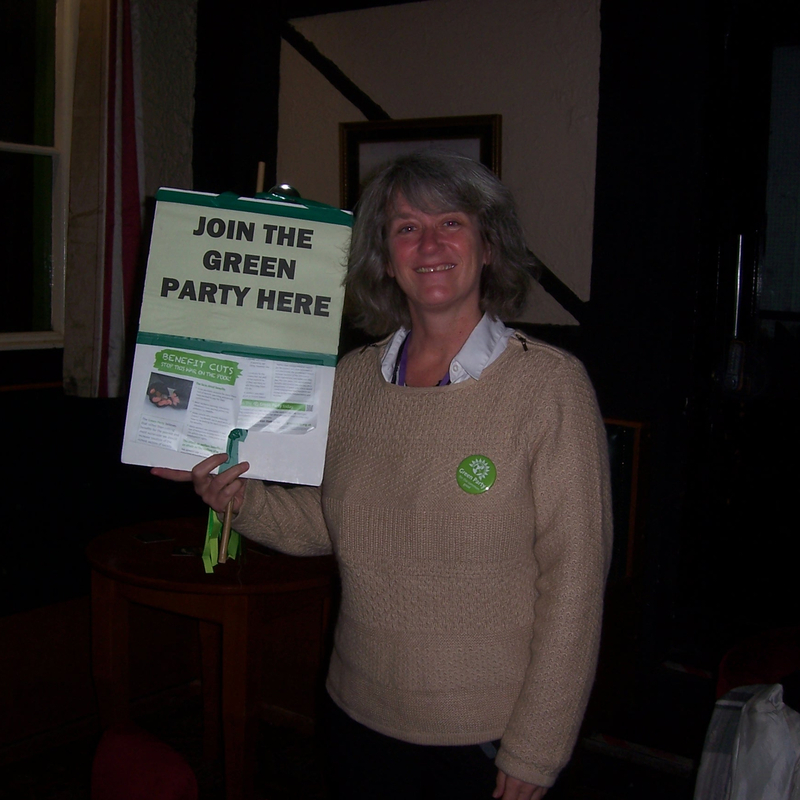 Happened to have a chat with Wendy Olsen Salford Green Party the other day. Just missed a bus on the way home so it seemed like a plan to drop into the Crescent to kill a little time and chill as the traffic was getting heavier. 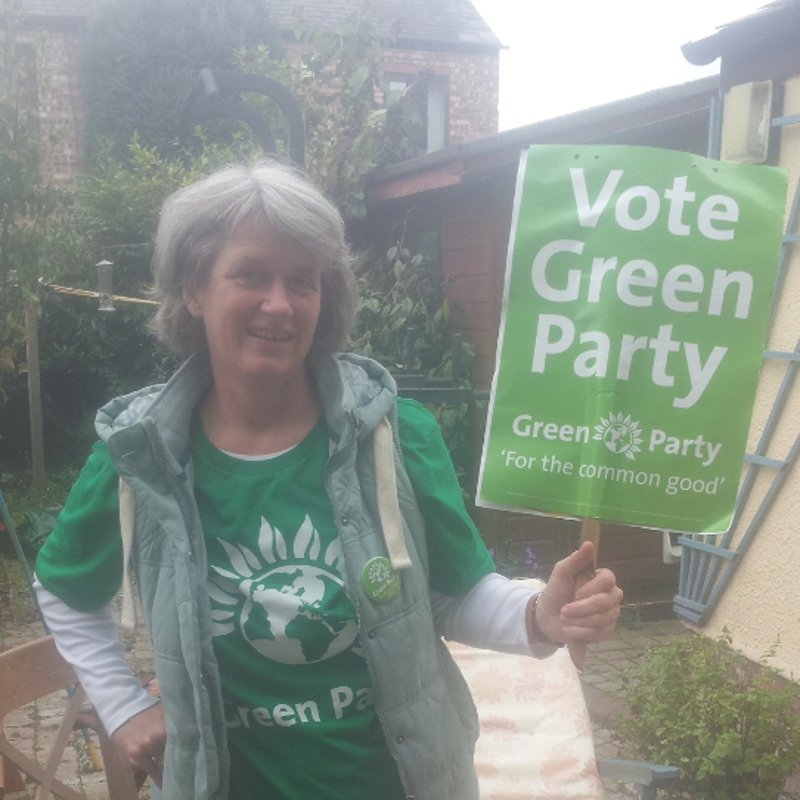 Whilst making myself comfortable, couldn’t help but notice a couple of placards on the floor and wouldn’t you know a new podcast was on the way with Wendy Olsen Salford Green Party and David Jones Wendy’s chief of staff. Wendy told me a little more about what she’s been doing recently and more than a little info about what’s what in the 2016 local elections. Social Cleansing what’s it all about? “Salford City Council, hand in hand with big construction firms, has taken away huge chunks of riverbank lands and created high priced housing. Salford Green Party are concerned about Whit Lane and Charlestown area after the council started a building plan on an area traditionally used for families for children to play on. 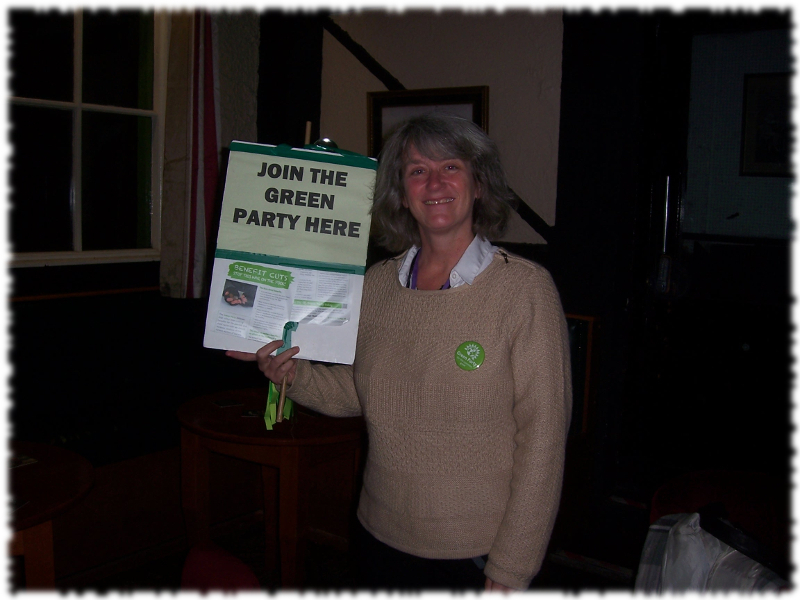 That quote was taken from the newsletter that was freely available from Wendy and David whilst they we’re friendly enough to share their time discussing more about the future happenings within Salford Green Party with yours truly. Adrian at Guerrilla Podcasts chatting with Wendy Olsen Salford Green Party. “Calling All Students! Salford Green Party are very aware that there success in the general and local elections is thanks, in part to the fantastic support they received from the student population. Salford Green Party would like to work closer with students from Salford University, particularly in their target area ward, Irwell Riverside for the 2016 council elections. They are keen to grow membership within the university by having a Green representative on the student board.